Meditation of the Heart in the Summer Camp 2019 with Adina, at the Sanctuary on 8th Street, Jacksonville City, Duval County, FL. 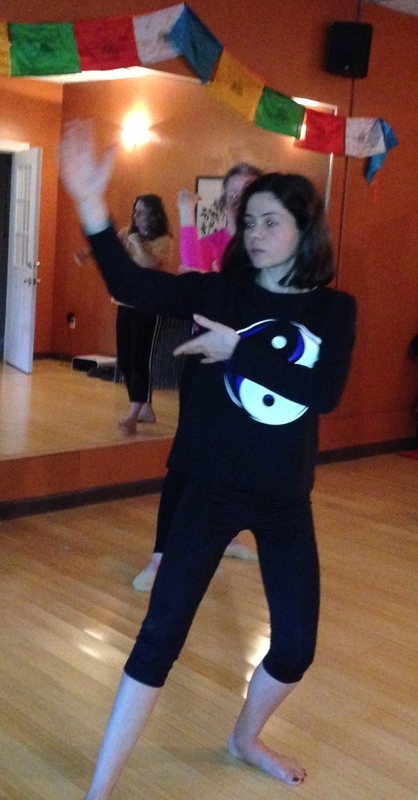 We’ll integrate meditation with our volunteering Tai Chi and Qigong program to support children and teenagers living in marginalized neighborhoods and concentrated poverty in the city. Oneness and Love Awareness Hridaya Workshop, with Adina, in the amazing wild life refuge and nature center Enchanted Forest Sanctuary, Florida Space Coast, Brevard County. Hridaya Yoga and Meditation Workshop with Adina, at Satya Sattva studio, Amelia Island: Enlarging our Sangha with new members this year, guided by enthusiastic curiosity, aspiration and the call of the heart to join our studies and meditation practice, always offers a good occasion to welcome them with a fresh start on the Hridaya Teachings. We’ll offer a half-day workshop on the Significance of the Spiritual Heart and an Introduction to Hridaya Hatha Yoga and Hridaya Meditation. at Satya Sattva studio, Amelia Island: Honouring the end of the year and the coming of the new one! Honouring nature in all its manifestations, following the recent Hurricane Irma and the survival of Amelia Island. We’ll gather our Sangha in harmony and we’ll continue our Hridaya studies series at the Beach House by Main Beach. Hridaya Hatha Yoga creates the condition for deep relaxation and for opening to realize the “transfiguration” of the body itself, while bringing amazing purifications at the physical, psychological, and mental levels. We learn how to awaken and become aware of subtle energies, the chakra system, and kundalini – allowing a profound psycho-mental regeneration. During the practice of Hatha Yoga, the physical asanas combine with Advaita, the vision based on non-duality. The asanas are performed while holding the inner spiritual attitudes recommended in traditional texts of Tantra and Shaivism including Vijnana Bhairava Tantra, Spanda Karika, Shiva Sutra, etc. Nirmana Kaya – The transfigured physical body of a realised being. A body that is freed from tension, memories of traumas, etc. Sama Rasa – The divine attributes of the Spiritual Heart are perfectly reflected in our physical body. The awareness of the divine nature of the physical body. The body is perceived as being more and more ethereal, full of light, love, bliss, freedom. The Inner Asana – The awareness of the Background of Stillness that is revealed through the pauses after inhalation and exhalation. The Witness Consciousness – We remain a witness of our physical body and of the energies. The awareness of the Heart Center, asking the question “Who am I ?” and guiding the “I am” back to the Source. 1. Any dynamic exercise should dissolve into Stillness. The immobility of the body is a recalling of the fundamental stillness of our being. 2. We constantly evoke Sama Rasa – a transfigured, divine physical body, full of light. 3. The Witness Attitude should be kept during the entire session of hatha yoga (Including the moments of entering in and coming out of the asanas). 4. Whenever we note that we have lost the Witness Attitude, by asking the question “Who am I ?” we acknowledge again the background of Stillness and Awareness – guiding the “I am” back to the Source. 5. We start and end the hatha yoga practice reminding ourselves that yoga is ultimately a spiritual art, and that the revelations which we may experience cannot be derived only from our personal effort alone, but primarily from that capacity to surrender or let go of our individual limitations. 6. If strain appears, we will not direct our attention to it, maintaining and emphasising the attention on the background of the Stillness. 7. We constantly keep the Inner Asana (the awareness of the pauses after inhalation and exhalation, thus settling ourselves into the Background of Stillness, our real nature). Learn more about our Styles !